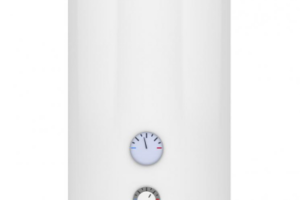 A water heater is probably one of the most common appliances present in every household without which routine tasks such as bathing, washing, cooking, and cleaning wouldn’t be possible with ease. Since it’s such an important appliance, it keeps running nearly all the time. Because of this, problems can arise over time and cause disruption in your daily routines. A water heater is made up of many components that are responsible for the proper working of the entire system. When any of these components becomes faulty, the whole system breaks down. However, these components are relatively easy to fix if the problem is addressed promptly. If the problem is neglected and left on its own, it not only damages the water heating system, but it also causes property damage and leads to hefty water and electricity bills. One such component is the water heater’s thermostat. Here’s why leaving it faulty is a bad idea. A thermostat is a small device in your water heater that maintains the desired level of temperature by switching the power supply off once the set temperature is achieved. When the thermostat senses that the temperature is dropping, it switches the power supply on and starts reheating the water. Running out of hot water while getting late for work is a frustrating situation that nobody wants to be in. If you’ve found yourself in a similar situation, the problem lies in your thermostat. Either your thermostat is not set to the required temperature for it to heat the water or there’s a mechanical fault that a plumber can fix almost immediately. If your water heater is delivering scalding water as compared to the bearable hot water it usually delivers, it’s time to get it checked by a plumber immediately. A faulty water heater thermostat can lead to high utility bills over time. This is because a faulty thermostat won’t be able to turn off the power supply to the heating elements of the water heater on time and thus consume an unusually high amount of electricity. Do you have a neglected faulty heater thermostat that should have been fixed by now? Get in touch with us!